Little Baby Jesus, He is not far away. He was a gift from God that keeps giving every day. You see Him in others that show their love toward you. You see Him in trials that you could not, alone, do. Little Baby Jesus was not a one-time gift. He is there, every day, giving you a helping lift. You see Him in blessings, on you He does bestow. You see Him in weakness, when He does faithfully show. You see Him in sad times and in the glad times, too. 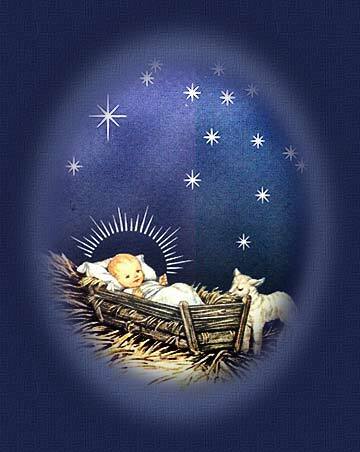 Little Baby Jesus, yes, He is still there for you.